Delight in a variety of Mediterranean salads, spreads, vegetable dishes, sandwiches, shawarma, shish kabob and more at Aladdin Mediterranean Cuisine. 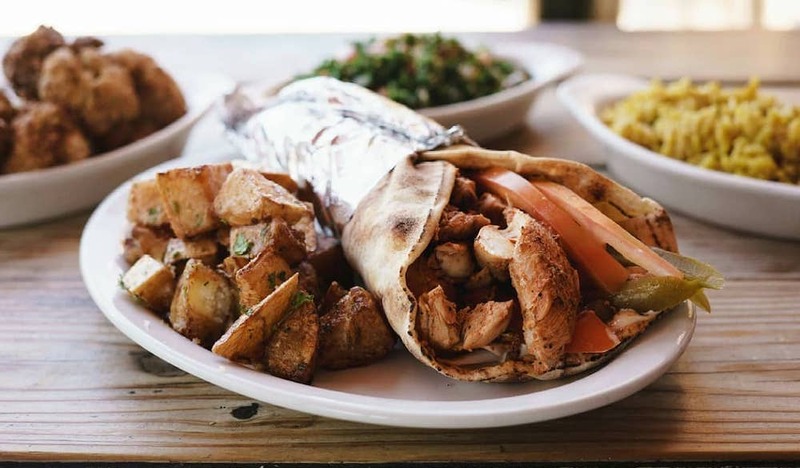 With two locations to choose from, on Westheimer in Montrose and another on West 34th Street in Garden Oaks, this laid-back eatery with ample seating is beloved for their mouth-watering Mediterranean staples and their always-fresh baked pita bread. Stop in for a delicious meat, vegetarian, or vegan Mediterranean combo platters, which comes served with two pieces of fresh baked pita, and your choice of salads, dips, hot veggies, sandwiches, and out-of-this-world entrees. And whether you’re looking to dine in or grab your food to-go, you can skip the hastle of waiting in line when you order online. Click here for more menu information or to order online. Montrose Hours: Monday 10:30am to 9pm; Tuesday to Friday 10:30am to 10pm; Saturday 11am to 10:30pm; Sunday 11am to 9pm. Garden Oaks Parking: Free lot parking is available in the surrounding area.